We often use extra virgin olive oil in cooking for its nice and smooth flavor and for the other health benefits it has to offer. This healthy product has been the focus of a lot of research for a lot of years. We all know that extra virgin olive oil benefits are well known, for beauty and for health as well. This oil contains important quantities of oleic acid and mono-saturated fats. They are linked to a lower risk of coronary disease. In addition to this, it also contains anti-inflammatory and antioxidant nutrients. They have the role to prevent premature aging, help reduce bad cholesterol and fight free radicals. Still not consuming enough olive oil in your diet? We’ll show you the top 10 most important extra virgin olive oil benefits. We hope to motivate you include this amazing oil in your everyday diet. 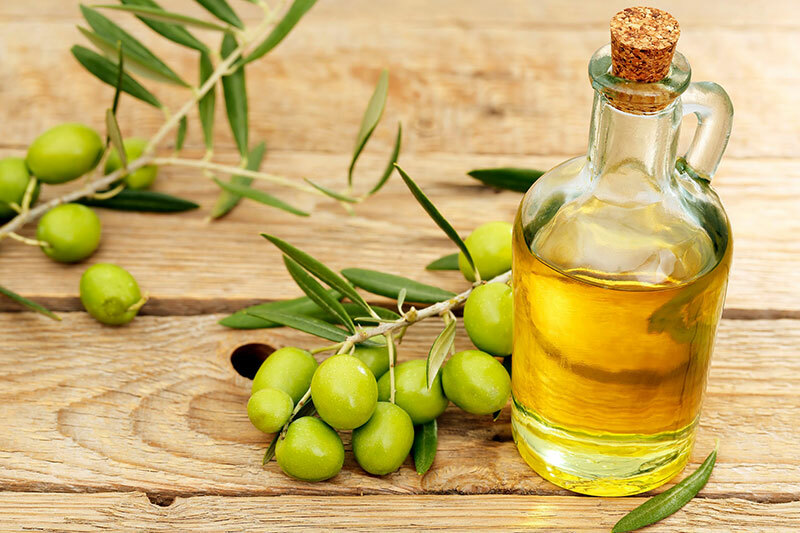 Extra virgin olive oil can really contribute in the process of weight loss This is because it contains healthy fats that can stimulate weight loss and helps you feel fuller. However, we should consume it with moderation as it can have a laxative effect. Due to its oleocantal content, olive oil has anti-inflammatory properties that can help reduce pain in the muscles and joints. Several studies have concluded that people who consume olive oil regularly have lower incidences of pain than those who don’t. Extra virgin olive oil has contents a lot of healthy mono-saturated fats. It could help prevent or “slow down” the mental decline connected to mental illnesses like Alzheimer’s. A recent study showed that people who consume olive oil often have a lower risk of developing cancer. This is very important effect that we could link it to its high oleic acid content. It is actually the main fat found in this food. Moreover, olive oil contains flavonoids, antioxidants, polyphenols and squalene. They all play very important role in this benefit. In a study published in Diabetes Care magazine, it was revealed that any Mediterranean diet that includes olive oil can reduce cases of type II diabetes by up to 50%. This is because extra virgin olive oil contains healthy fats. They can help regulate insulin production and regulate blood sugar levels. The immune system is responsible for fighting the bacteria, viruses and other microorganisms that can cause disease. Olive oil is rich in essential nutrients like antioxidants that can help strengthen our immune system. They protect our body against disease. If you want to reduce the high blood pressure, consume only 3 tablespoons of olive oil a day. According to some studies, the healthy fats in olive oil can reduce systolic and diastolic blood pressure levels. Olive oil is also excellent for eliminating excess bad cholesterol and managing cholesterol in the body. Mono-saturated fats actually stimulate the elimination of bad cholesterol, increase levels of good cholesterol and at the same time prevent cardiac disease. You can also “use” or take advantage of the nutrients and healthy fats in olive oil for the health of your hair. Simply use the extra virgin olive oil if you want to reduce frizz and get the hair you’ve always wanted. Forget chemical products or gels that can only damage hair. Olive oil is natural and healthy alternative. It will help you regrow hair eliminate frizz and restore shine. One of the best natural moisturizers for your skin is definitely olive oil. Even though there are a lot of “natural” moisturizing skin creams on the market, olive oil is the best alternative that will make your skin smooth. It prevents the signs of premature aging and protects it from sun damage.